Back in the 1930s, Ford Australia gave a grateful world the Ute – famously to 'go to church on Sunday and take the pigs to market on Monday' – and now things have turned full circle. 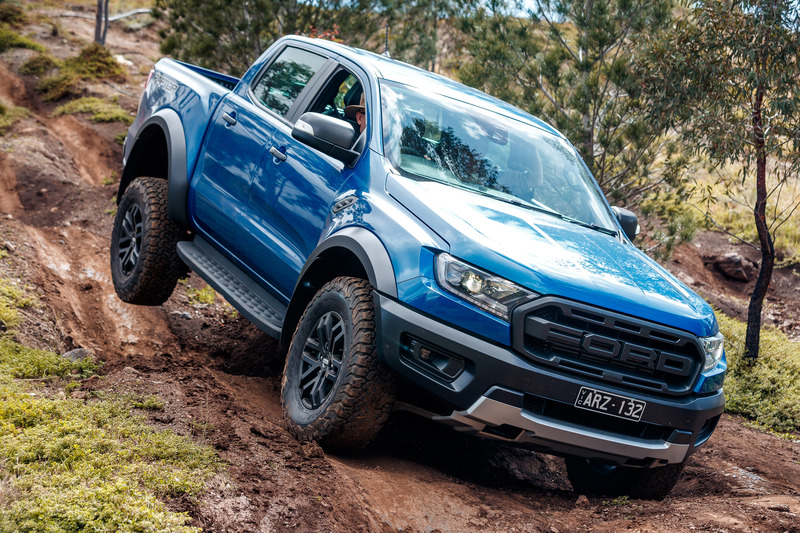 The Ute has returned to popularity as the nation's 4WD of choice, and the Aussie-developed Ford Ranger Raptor has claimed the coveted 4X4 OF THE YEAR Award. In a nation with the scale and diversity of terrain as ours, four-wheel-drives are a necessity for both work and recreation. Whether it's about making a living, exploring in comfort, or having great adventures, it's also about getting home safe and sound. Each year the benchmark 4X4 OF THE YEAR Award is announced by leading publication 4X4 AUSTRALIA. "It's quite something to think that even though local manufacturing has fallen silent, our expertise and input has seen the Raptor become an international sensation – and certainly a worthy winner of the 4X40TY title," notes 4X4 AUSTRALIA Editor Matt Raudonikis. "It comes at a time when our concepts of four-wheel-drives are being challenged, and the all-important off-road toughness of some vehicles – and their ability to get passengers safely to destination - has rightly also been questioned. No such questions with this year's victor." The Raptor concept was developed by Ford Australia, with help from its racing division, to produce what could be described as a 'factory custom' vehicle. It is a dual-cab Ute, powered by a 4-cylinder turbo diesel engine, it is packed with a long list of features as 'standard', and sells for just under $75K. It was the most expensive finalist in the field but, ultimately, it was quite simply the best. This year's field of the best new 4WDs launched in 2018 delivered a diverse selection. Of the eight finalists, all were diesel, seven of them are powered by (just) 4 cylinders, and six are Ute. As a further sign of the shifting landscapes, one came from India and another from South Korea. Vehicles are not judged directly against each other, but a set criteria which includes toughness, value for money, breaking new ground, bushability and doing the job. The judging panel didn't just test the vehicles, they lived with them. Across a week of rigorous testing, and a full range of landscapes and conditions, the judges camped with their vehicles as they moved from location to location. Perhaps a disturbing trend is the fact that the tyres provided on most modern 4X4 vehicles are not suitable for outback, or even dirt road driving. Thankfully that does not apply to the victorious Ford Ranger Raptor, which is ready to take on any job or adventure that is asked of it. Full details appear in the latest issue of 4X4 AUSTRALIA magazine. Aussie-developed Ford Ranger Raptor has claimed the coveted 4X4 OF THE YEAR Award.